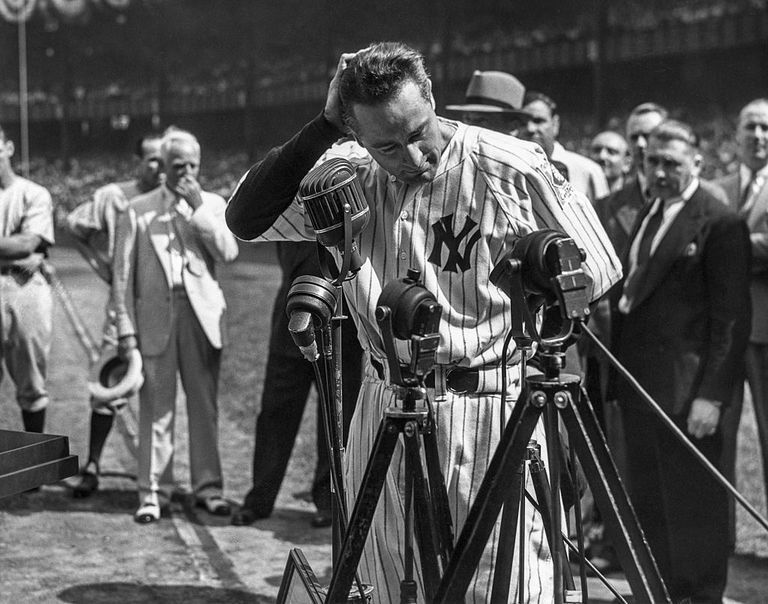 More than 62,000 fans witnessed Gehrig give his farewell speech . "Fans, for the past two weeks you have been reading about the bad break I got. Yet today I consider myself the luckiest man on the face of this earth. I have been in ballparks for 17 years and have never received anything but kindness and encouragement from you fans." This is how the best white men behave. This is why he was so admired. White people and black people have different values. From Curt Flood to Barry Bonds black players are never satisfied they are getting enough for playing a 'game' in front of white people. They never show an ounce of gratitude toward whites. The sheer lunacy, that losers like Colin Kaepernick, who can't even make the playoffs, can claim to boycott the Super Bowl. Then, astonishingly, they demand that those who DID make the super bowl half time show, HONOR their "intellectual" picket line, and cancel their show. When does American call bs? I do.